Rowoon talked about the negatives of being tall. The idol answered, "When I use public transportation, I can't get off the bus right away. I have to bend over my neck and back to get off. Local buses tend to be smaller than the city buses so I have to get on with my neck down." 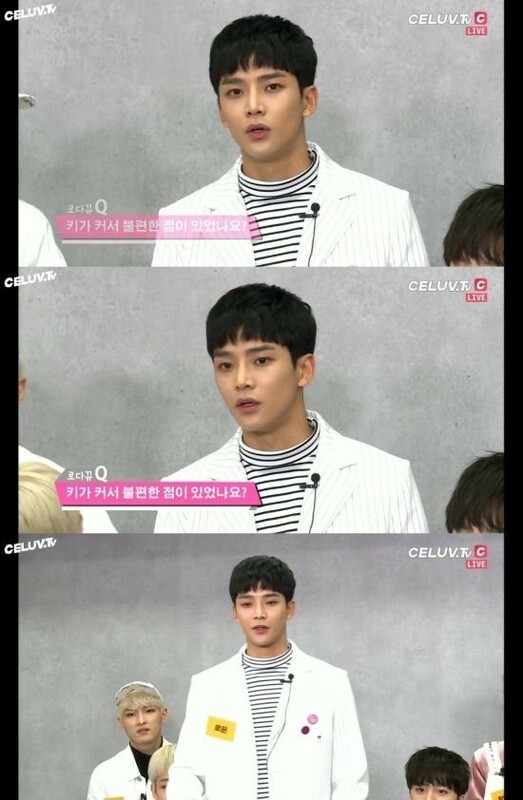 Rowoon revealed he's currently 189cm (6'2") tall. The MC asked if he wished to grow taller, and Rowoon�replied, "I actually want to be a little shorter than I am now."